To improve connectivity between Delhi and Gurugram, the Haryana government is exploring the option of expanding a 3.5-km stretch of a village road that runs parallel to the Dwarka Expressway and can provide an alternative route of travel between the two cities. The road under consideration is the Raghopur road, which meets the 6.5-km-long and 75-m-wide master sector road that passes through sectors 108 and 109 and eventually meets the Najafgarh-Kapashera road. Officials said a 1.5-km stretch of this road falls in Delhi and the remaining in Gurugram. The town and country planning department (DTCP) has been given the task of preparing a proposal to expand the road in both Haryana and Delhi. Once the proposal is ready, the government will take up the matter with the Delhi government on a priority basis, officials said. A recent visit to spot revealed that the condition of the road is quite poor. It is only 30 feet wide and dotted with potholes. There is also a dire lack of streetlights along the way. The road that starts from Gurugram ends abruptly at the beginning of the village, where an unpaved road takes over. Flanked by agricultural lands and farmhouses on both sides, the road eventually leads to Delhi. Commuters travelling on this stretch always have to encounter bumpy rides. The length of the 75-m-wide master sector coming from Gururgam is six kilometres, whereas the length of the rural stretch is 3.5 km. The master sector road coming from new Gurugram passes through sectors 106, 108, 109 ends abruptly at a point from where a 30-feet-long thoroughfare, also called Raghopur road, takes over. It leads commuters to Najafgarh-Kapashera Road, via the sector roads of 114 and 115. 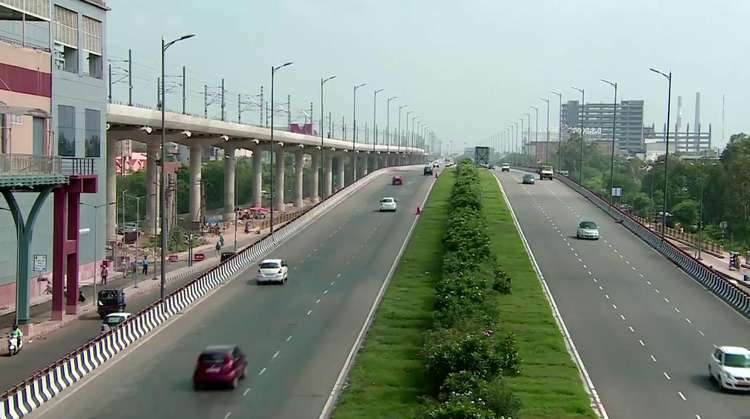 DTCP officials say plans are afoot to expand this road from both the sides so that it can provide seamless connectivity between sectors 108 and 109 of Gurugram and Delhi via sectors 114 and 115. “The government has asked us to prepare a proposal for expanding and connecting these two sector roads through the Delhi area. It would be an alternative to the Dwarka Expressway, as it runs parallel to it and would connect Najafgarh road with the new Gurugram sectors, cutting through Pataudi Road. It could provide a viable alternative connection between Delhi and Gurugram,” said RS Bhath, district town planner. The idea to upgrade this road is not new, but given the delay in completion of the Dwarka Expressway, the authorities are keen on taking up this matter with the Delhi government, said officials. Even earlier, senior DTCP officials had approached the Delhi Development Authority(DDA) to collaborate on upgrading the Delhi stretch of the road, so that it could be connected through the villages and turned into a permanent link with the Najafgarh Road, said Bhath. DTCP officials said the land within the Delhi territory falls in different zones of the Delhi’s zonal plan, and was not included in Capital’s masterplan. “The Haryana government now plans to take up this road project on a priority basis,” said Bhath. At present, several commuters from sectors 103, 107, 108, 109 and adjoining areas use this road to reach Dwarka, the Delhi airport and select areas of west Delhi. “This road needs expansion and upgrade, as it is in a poor condition. Although a lot of people use the road, navigating it at night becomes an uphill task, as there are no streetlights and the area is on outskirts of both Delhi and Gurugram,” said Prakhar Sahay, a commuter, who sometimes uses this road.